The flu has finally caught up with me, so this morning I've spent in bed with a stuffed nose, fever and a chest-rattling cough. My girlfriend has forbidden me to leave the house today, except for a short trip out this morning to buy tea, so I could make my African ginger-spiced milk tea. It is one of my first days at the project. Teacher Richard takes me into the library, where there is a tray on the table containing three empty mugs, a mug full of sugar, a spoon and a thermos flask. "This is our break-tea," he explains to me and pours himself a cup. He then looks at me, and I understand that I should do the same. I sip it. The taste is rather strange. Richard keeps looking at me in a way that makes me understand that I'd better finish my cup. I decide to add some sugar. Somehow, I manage to force it down. Pleased with myself, I put the mug back on the table. Richard looks at me again: "We normally take two cups". So from that day, I took two cups of African milk tea every day at ten. Sometimes, one of the staff would buy mandazis for everyone - a sweet, soft, deep-fried pastry, rather like doghnuts. 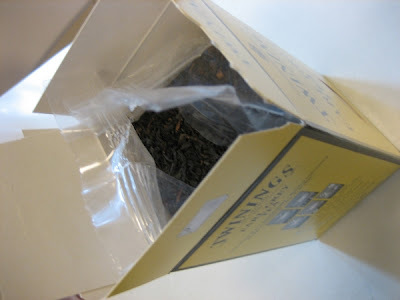 African tea is an aquired taste, but I learned to love it. Sometimes they would make it with ginger, as an extra bonus. One of my fondest memories from my stay in Uganda, was the day when I came to work, and it turned out to be a public holiday (it happened quite a few times actually, since some holidays are note announced until the evening before. I might write a post on Ugandan public holidays one of these fine days). Fortunately, a couple of my collegues had missed the announcement as well, and OB, one of our caterers, was there as well. So, OB lit the kitchen fire and made us tea and we sat and chatted for a while over our cups. 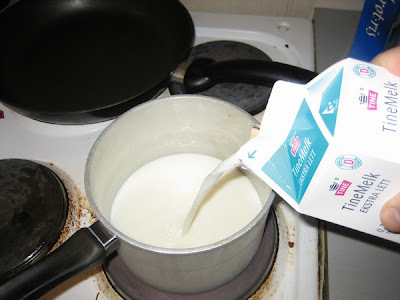 Pour milk into a pot. 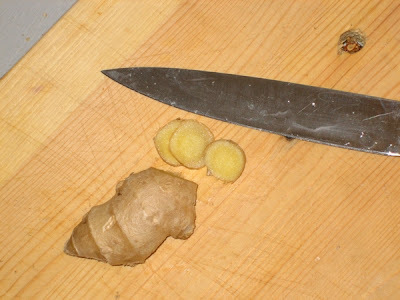 Add some fresh ginger if you like (very good for cough and sore throats). 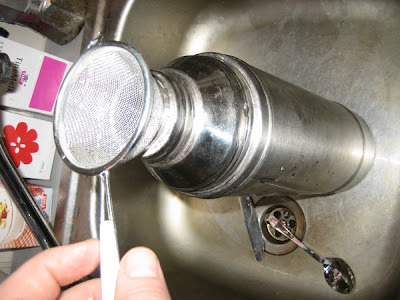 Filter through a sieve either directy into the cup or into a thermos flask. Serve hot. Add sugar - lots of it - four teaspoons for a large mug. Skrevet av Unknown - 2/26/2007 02:18:00 p.m.
åååååå, jeg digger å lese Uganda postene på bloggen din. Får rett og slett hjemlengesel, eller rettere sagt Uganda lengsel. 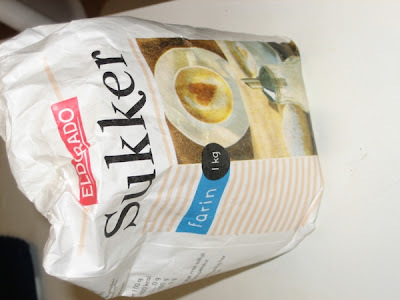 Ja det var tider det, savner chai, tror at jeg også skal prøve å lage det en dag. Yess. Chai ya Uganda ni nzuri sana. 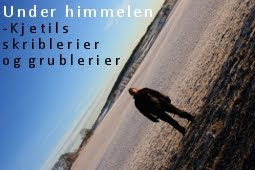 Det er enda enklere å lage i mikrobølgeovn - en stor kopp melk, en tepose, tre minutter ... Gjorde det ofte på Hald. Men skal det gjøres skikkelig, så må det jo kokes på kull, og aller, aller helst på kjøkkenet på CRO. Gleder meg storligen til å dra på besøk i sommer.